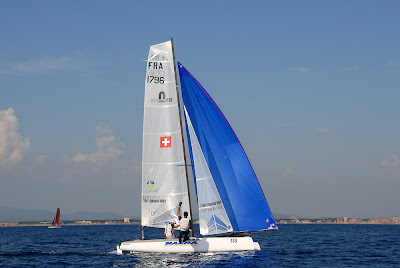 The French team of Billy Besson and Jeremie Lagarrigue have won the 2013 Formula 18 World Championship title in the waters off the Compagnia della Vela Grosseto ahead of Britain's Hugh Styles and Australia's Mitch Booth. The race committee still managed to hold three races despite the light flukey conditions. 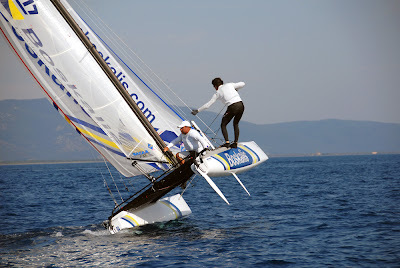 In the Gold fleet, French duo Billy Besson and Jeremie Lagarrigue pulled of some swift tactical moves to become the new Formula 18 World Champions. Having dominated the first day of the finals, the French sailors began the day on top of the leader board and managed to keep their closest rivals, Hugh Styles/Richard Mason at bay in the final two races by notching up a bullet and a second place after starting the day with a 17th that they were able to discard. It was the perfect ending for the French pair who finished the event on 26 points overall. Hugh Styles and Richard Mason (45 points) kept the pressure on the French until the very last tack and their consistency saw them take the silver medal. Mitch Booth and his son Jordi proved consistent despite a slow start in the qualifiers where they finished in seventh place. 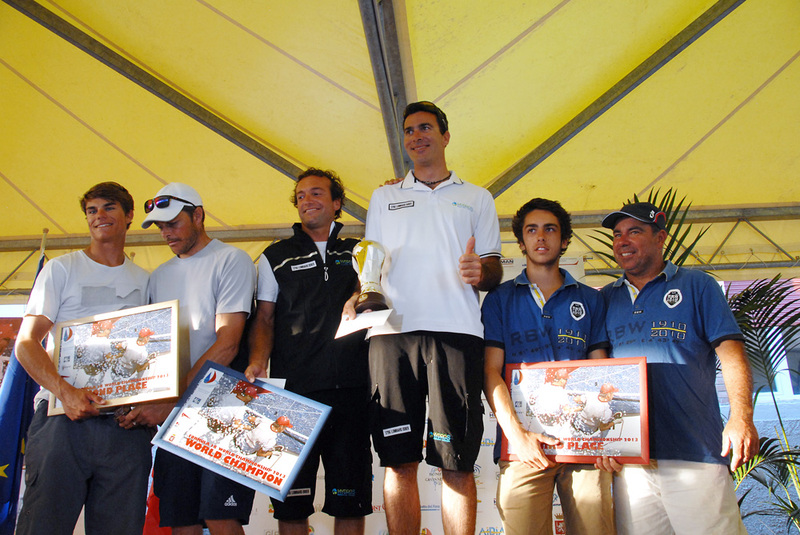 But they recovered well to take the third step of the podium on the final day of racing with a total of 61 points. Fourth on 88 points went to Francois Gabart, winner of the last Vendée Globe, and his bowman Matthieu Vandame followed by Frenchmen Gurvan Bontemps and Benjamin Amiot on 90 points. 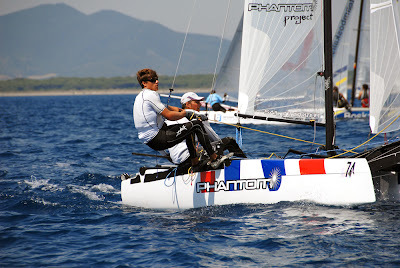 Mitch and Jordi Booth also won the Masters category while Taylor Reiss and Matthew Whitehead (USA 888) won the Youth and Moana Vaireaux and Manon Audinet (FRA 33) the Mixed.